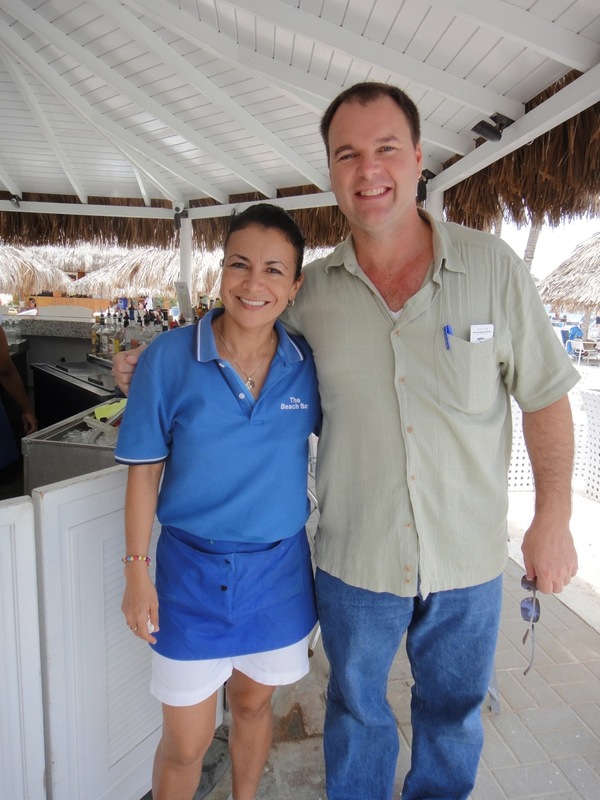 Claudia has to be one of the most popular people on Palm Beach, Aruba. Her warm smile and engaging personality welcome friends and strangers alike. She used to tend bar at the Kibrihacha Bar, but has since moved over to The Beach Bar, near the Playa Linda. Here’s a photo of Claudia and I together. The famous Claudia on the left. I’ve known Claudia for quite a few years now. She puts up with my poorly spoken Spanish and teaches me the correct way to say things. She also makes a fine drink. So, if you’re on Palm Beach during your visit to Aruba, stop by and say hello. Bon dia.